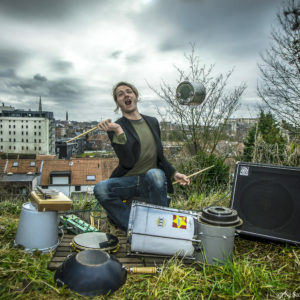 With DIY drums we embrace the public space, from Leuven to Kinshasa. 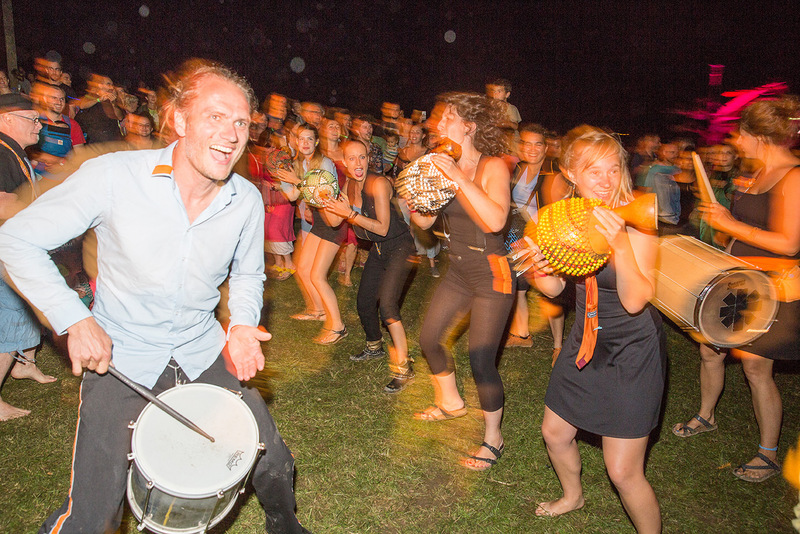 De Batterij brings people together – around, through, with and for the sake of music. All are welcome, from aspiring drummers to seasoned percussionists, and from all ages and backgrounds. At De Batterij you have the opportunity to join one or more of our group projects. We usually make our own drums and other instruments and create our own original repertoire. 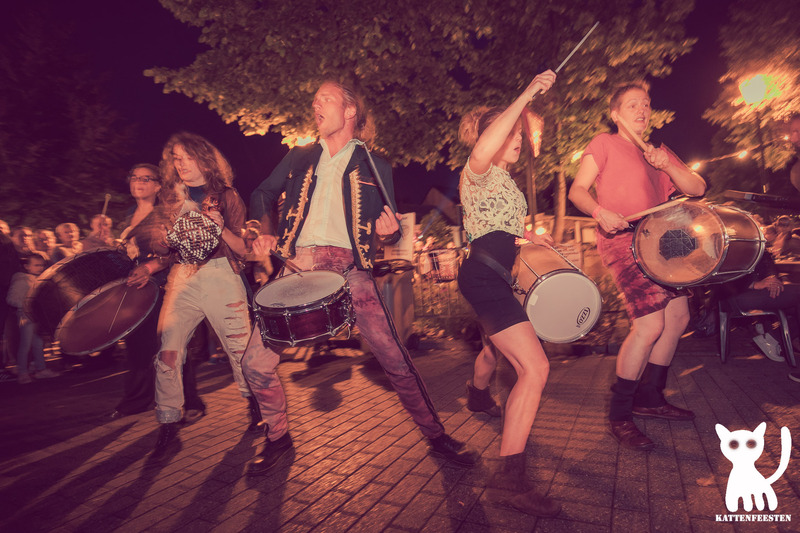 With this DIY attitude, we head out into the streets, squares, classrooms and festivals to share our positive vibes with a very diverse audience. Preferably off the stage rather than on it. 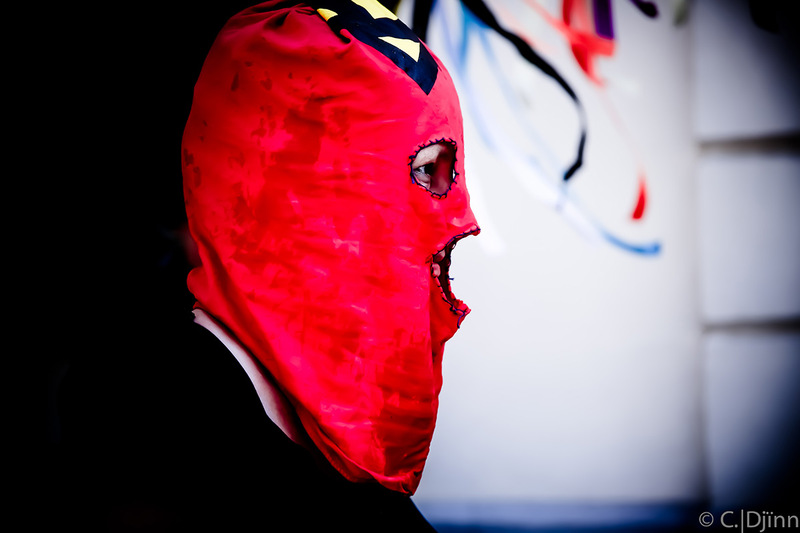 Although organisationally De Batterij is a one-man band, with us you’ll never stand alone. 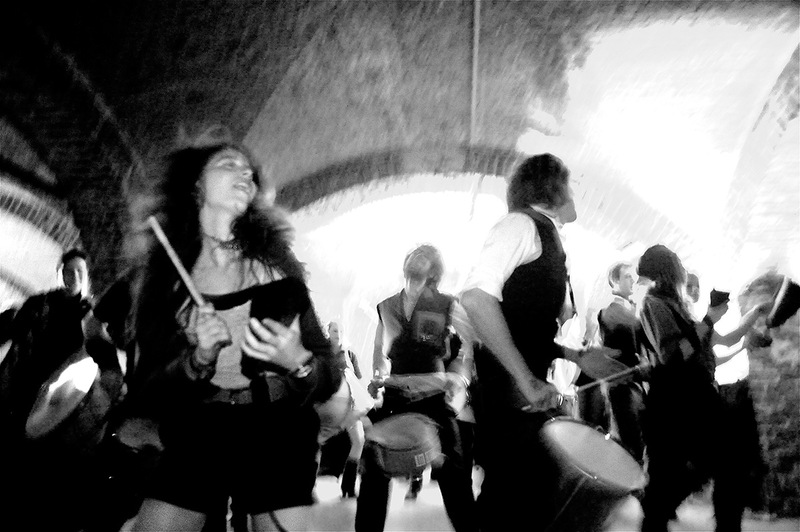 Mobile acoustic DIY drums come to life in the hands of 35 drummers, creating a physical ‘wall of sound’. Perfect for street parties, parades, festivals. An accessible sound that everyone can appreciate! Groovy guerrilla group that’s been going ape on their self-made drums for almost 20 years now – on, off, beside, and far away from the stage. Brutal bunch of underground noise makers! Acoustic trance percussion and mobile totems of lo-fi speakers generate a universe of sound vibrating with pure punk energy. There goes the neighbourhood! Workshop for primary school children. 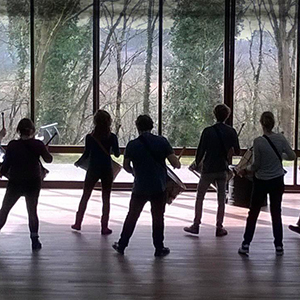 Together pupils discover that music can be found and made across the globe but also in the classroom. Making music together and learning about different cultures go hand in hand: at De Klasklopperij, everyone can try their hand at being a musician! 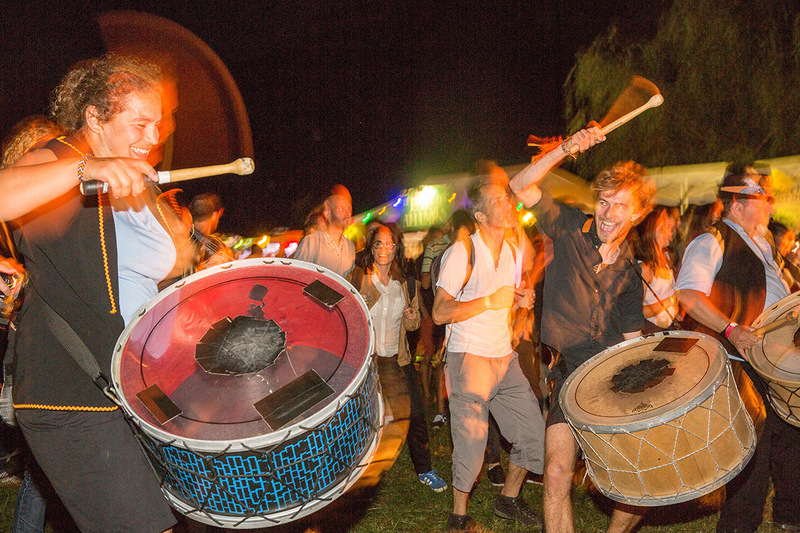 Want to get into drumming and play along with groups like DROM and LKMTiV? Join us every Tuesday at De Appeltuin. Rehearsals take place on Tuesdays from 6 to 7pm, except during school holidays. © 2019 De Batterij - English. All Rights Reserved.